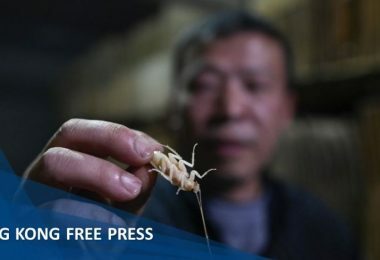 A parcel of land in the Hong Kong border area currently in dispute had been excluded from aerial mapping photographs “by mistake,” Hong Kong’s Lands Department said on Thursday. 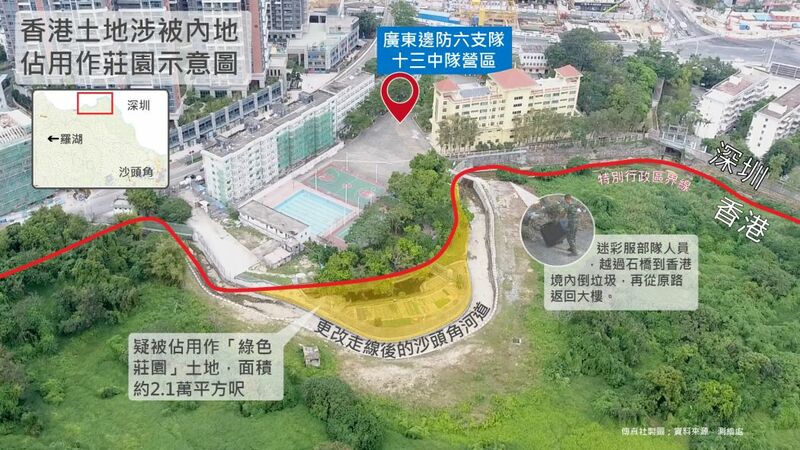 Chief Executive Carrie Lam said on Wednesday that the Hong Kong and Shenzhen governments “had a different understanding of the boundary along the Sha Tau Kok river,” and were working to reach a consensus. The Lands Department said on Thursday that the area in question was not deemed a “high risk” area. The land tract was not connected to roads and could not be easily accessed by patrols, it added. The department also said that it took aerial photographs of the area, but the photos were for map-making and not specific monitoring. “According to the department’s review of aerial photographs, the relevant area [was] blanked out on some photographs taken between 2010 and 2018… due to unintentional mistake and was not deliberate. 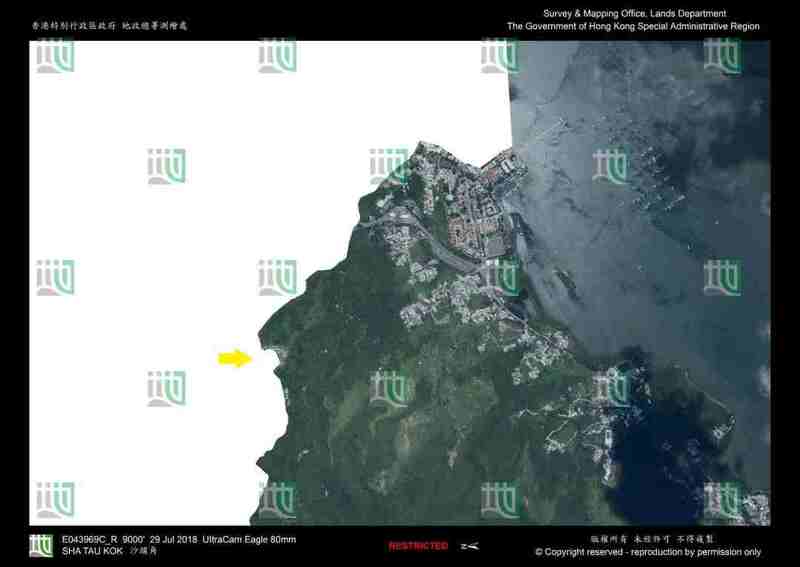 The problem did not appear in the aerial photograph taken in July 2018,” the statement read. A 2017 aerial photograph that excludes the ‘green garden’ area. Photo: Lands Department. 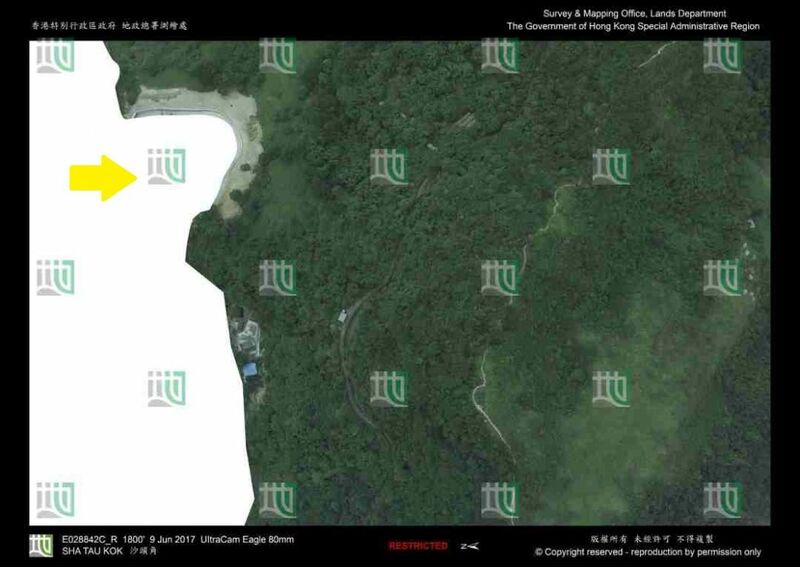 Lawmaker Eddie Chu previously pointed to inconsistencies in maps made by the Lands Department to show that the government was aware of the shifting border. The department said that it was standard practice to blank out non-Hong Kong territories in aerial photographs. Since the process was conducted by hand, it was possible for Hong Kong territory to be blanked out accidentally, it said. The department added it would consider ramping up the aerial monitoring of the Hong Kong border and may review its map-making procedures. 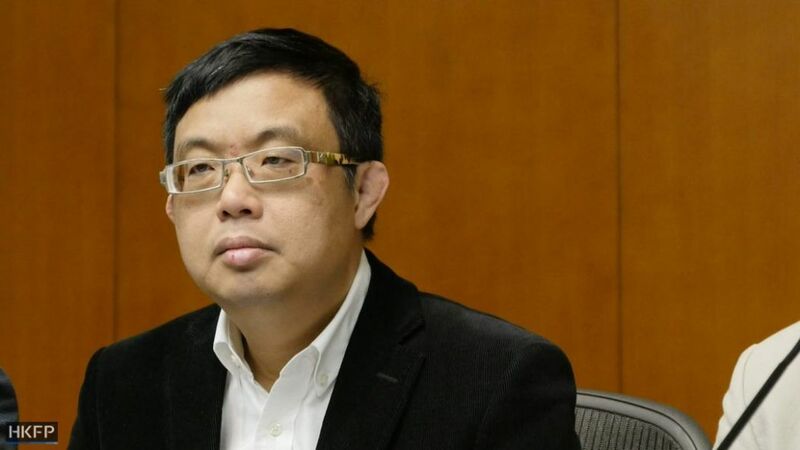 Lawmaker James To, deputy head of the Legislative Council Panel on Security, said on Friday that Hong Kong’s border police must be held accountable for the incident. A 2018 aerial photograph includes the ‘green garden’ area. Photo: Lands Department. “From what I know, [the police] use bikes, motorbikes, cars and closed-circuit television to monitor the border 24 hours a day. How could it be possible for the police not to know about it for years?” he said. To called on the Commissioner of Police to explain, and hold officers responsible if they were found to be negligent. HK01 reported on Friday that the affected landowner was told by the Lands Department officials to seek a civil remedy in court. In response, To said it was “totally absurd” for the government to ask a private landowner to sue the People’s Liberation Army. “Of course this is a high-level matter that should be resolved between governments. If we ask a victim – owner – to resolve it, you are asking too much. How can a civilian sue an army in court?” he said. 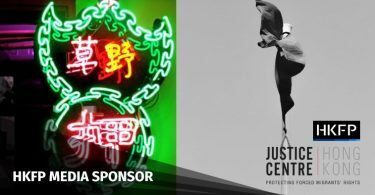 “I don’t know if the Lands Department is representing [Chief Executive] Carrie Lam, but if Lam tells the landowner to seek a civil remedy, I think I will probably call for her resignation,” To added. HKFP has contacted the police for comment.